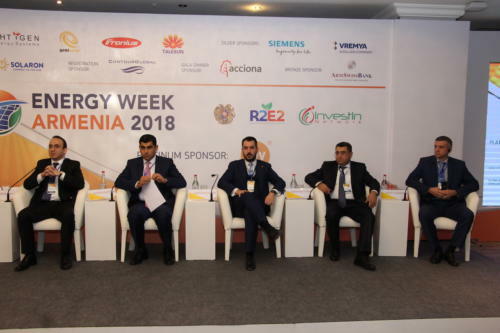 Energy Week Armenia is held under the auspices of the Government of RA to demonstrate prospects of the country’s energy sector and to unlock the potential of international cooperation. It will serve as a high-level platform to discuss new opportunities as well as challenges faced by the energy sector of Armenia. 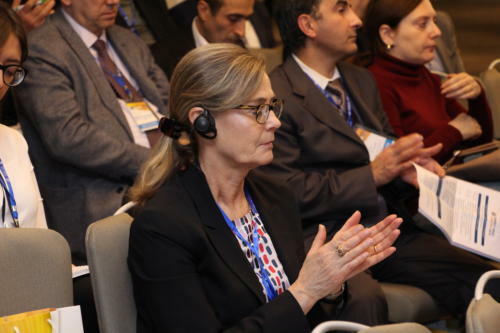 In Armenia, we see the energy sector as a key for economic growth. A number of legislative reforms have been implemented to facilitate further developments in this sector. The reforms implemented coupled with significant renewal energy potential make the sector very attractive for foreign investments. 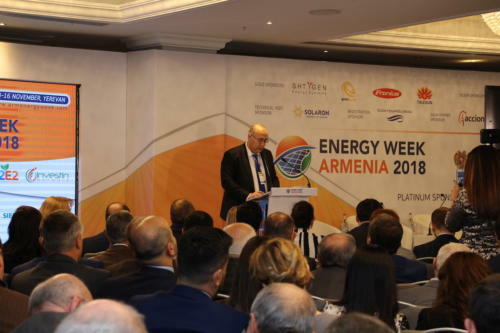 I am certain that Energy Week Armenia will find a place in the calendar of international events based on our country's prospects in renewal energy sector. I look forward to welcoming you at this important event. 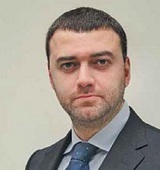 Armenia has a great potential for development of renewable energy and in coming years, we are planning to dramatically increase the share of renewable energy in the general energy “balance sheet” through the construction of solar, wind and geothermal stations. 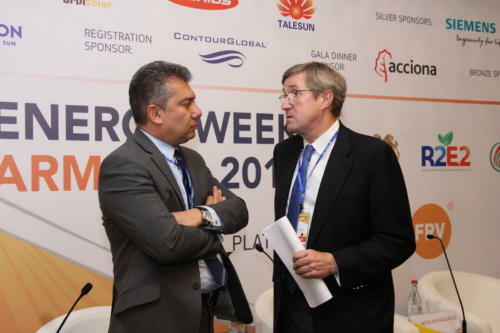 Energy Week Armenia is an excellent platform to discuss these developments with potential partners from all over the world. All registered participants are welcome! Registration open for Technical visit participants only NOTE: Limited availability of places. Separate booking required. 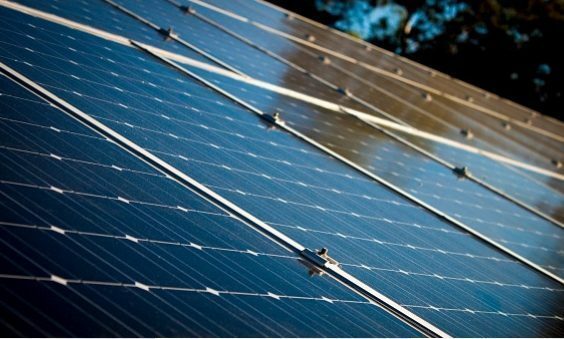 Learn about modern technologies of solar panels production in Armenia from the first manufacturer in the country! 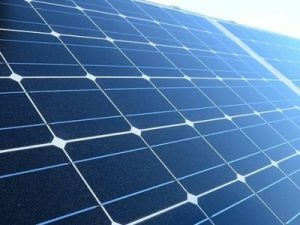 Unique opportunity to visit the first solar panels production plant in Armenia. The plant was launched in 2017 and uses modern equipment and production technologies. 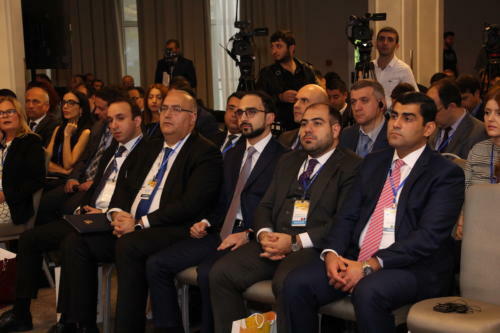 Held with full support and under the auspices of the Government of Armenia, this is a unique opportunity to meet under one roof all decision-makers shaping the country’s energy future. Be at the forefront of this meeting! Time to shine for Armenia’s renewable energy sector with large projects underway and more to come. Gain the first-hand strategic insights on all the ongoing and planned construction as well as rehabilitation projects development. 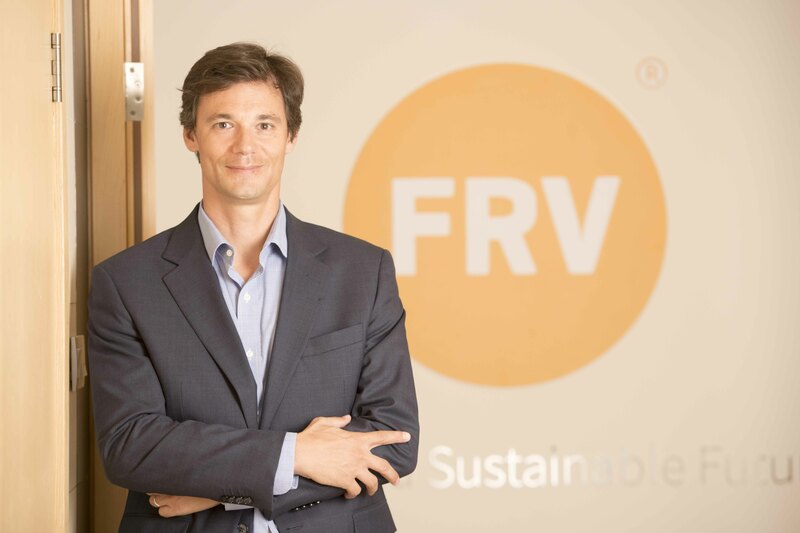 Founded in 2006, Fotowatio Renewable Ventures (FRV) is a leading global developer of renewable energy solutions for a cleaner and more sustainable future.FRV´s business goal is to become a leader and driver of the democratization of the renewable energy market. The strength of this commitment is evidenced in our track record of over a decade of success in the solar photovoltaic (PV) sector worldwide. 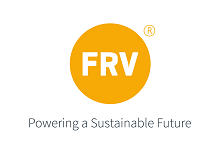 With a development portfolio in Europe, Australia, the Middle East, Asia, Africa and Latin America, FRV has established itself as a reference in the industry having completed the development, financing and construction of over 900 MW (DC) of photovoltaic and CSP solar energy plants. 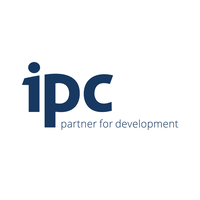 This represents more than US$3 billion in total project debt financing raised among more than 20 leading international banks. 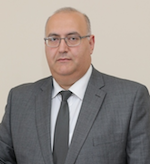 Recognizing this expertise, FRV was acquired by Abdul Latif Jameel in 2015, a diversified business with over 70 years of experience across the MENAT region. Arpi Solar LLC is an innovative renewable energy Engineering, Procurement and Construction (EPC) Company focused on solar rooftops, solar power plants and solar products. Being founded in 2012 we are specialized in Direct Solar Power Solutions: off grid and grid connected solar rooftop systems and solar power plants for commercial, institutional, industrial and residential buildings, with more than 2000 customers in Armenia, including Artsakh. Solar products include all solar equipment and home products like solar PV, water heaters, pumps, street lights, as well as home lighting systems. 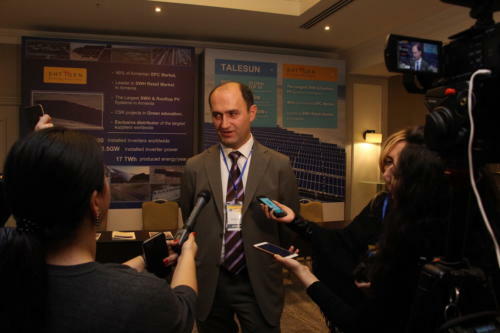 Our aim is to focus on developing solar power as a sustainable source of alternative energy in Armenia. 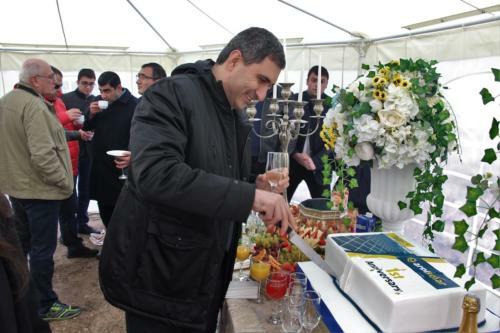 Arpi Solar LLC in cooperation with global leaders in solar industry JinkoSolar Holding Co., Ltd, Stäubli Electrical Connectors AG and Enerparc AG, completed the 1st 1 MW solar station in Armenia “Talin-1”. 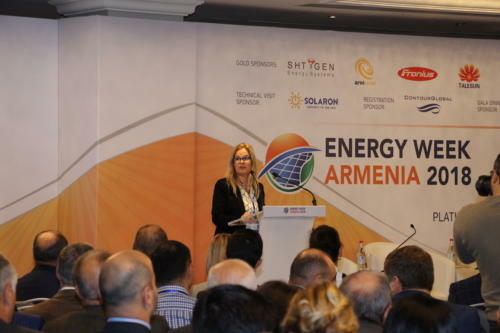 Shtigen Energy Systems is established in 2011 in Armenia with the vision to bring affordable renewable energy and energy-efficiency solutions to the people, businesses and communities in the region, overcoming energy poverty and strengthening energy and economic security. 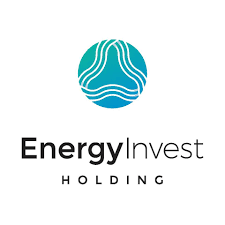 We are specialized in turnkey solar thermal & PV solutions, energy audit and assistance in energy-efficiency upgrades, technical support and service, investment advisory and management of renewable energy projects. Shtigen is exclusive and preferred partner of leading global renewable energy product and solution suppliers such as Sunrain, Talesun, Sunpower, Fronius, MPPSolar, Kstar. Our installed capacity is over 5.5MW PV and 7MW solar thermal stations in Armenia which is about 40% market share. Talesun Solar is a wholly owned subsidiary of Jiangsu Zhongli Group (SZ: 002309) which was founded in 1988. With an annual production capacity of 4 GW cells and 5 GW modules, Talesun Solar now is one of the largest PV module manufacturers in the world. Talesun Solar has been listed in “BNEF Tier 1 PV Module Makers” since 2015, and was “Global Top 10 PV Module Supplier 2017”. Its standard and high-efficiency product offerings are among the most powerful and cost-effective in the industry. Talesun Solar is one of the few PV companies who had received the VDE Quality-Tested certificate in the world, which guarantees excellent product quality. Till end of 2017, Talesun Solar has cumulatively invested and developed more than 6 GW PV power plants globally, which makes it one of the largest green energy provider in the world. The Fronius Business Unit (BU) Solar Energy has been developing photovoltaic energy solutions and distributing its products through a global network of expert installation, service and sales partners since 1992. More than 20 Solar Energy subsidiaries, an export ratio of over 90 percent and a total output of more than 12 Gigawatts from installed inverters are testament to this. Its mission is to achieve 24 hours of sun. Day after day Fronius is hard at work turning this vision of a future in which 100% of the world’s energy needs are covered by renewable sources into a reality. With this in mind, Fronius develops energy solutions to generate, store, distribute and consume solar energy economically and intelligently. Keller Group plc is the largest international geotechnical contractor with a wide range of geotechnical solutions including design and construction: piling & heavy foundations, ground improvement, retaining structures, soil anchors and nails, specialty grouting, own equipment & services, geo monitoring. Keller has a global experience from all over the world for renewable energy projects: hydraulic power stations, wind farms and others. We propose the most effective solutions with individual approach to each client and each project. a stock corporation under the Federal laws of Germany, as the parent company and its subsidiaries. 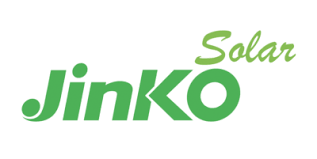 Our Company is incorporated in Germany, with our corporate headquarters situated in Munich. As of September 30, 2017, Siemens had around 372,000 Employees. 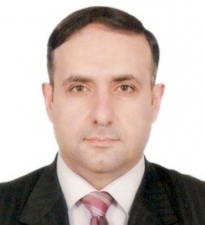 During fourteen years of activity in the Armenian market ArmSwissBank has grown into a bank enjoying good reputation among its clients, partners and financial institutions. Specializing in corporate and investment banking, we offer our clients both traditional and alternative financing solutions designed to match their specific needs best. International trade finance, SME Financing and Renewable Energy Financing programs are among strategic and primary directions of ARMSWISSBANK. In order to overcome competition and ensure further promotion of our products, we capitalize on our key strengths, particularly, professional team, experience in developing and offering new products and tailor-made solutions in the Armenian market. 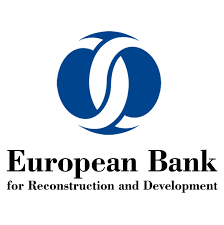 In this context the Bank also cooperates with a number of international organizations, particularly EBRD, ADB, FCI, GAF, KfW, EDB, etc. Acciona Energía is a global operator in renewable energies, and the biggest in the world in terms of clean energies not linked to conventional electric power generation companies. With over 20 years’ experience in the sector and more than 9,000 MW under its ownership, It has 220 wind farms totalling 7,382 MW; photovoltaic facilities totalling 389 MWp; one CSP plants (64 MW); 76 hydropower plants (876 MW) and three biomass plants (61 MW). The company sells energy to large customers. It belongs to ACCIONA, a leading group in sustainable solutions for infrastructures and renewable energy projects worldwide. It covers the entire value chain of design, construction, operation and maintenance. The company earned revenues of 7,254 million euros in 2017, has a presence in more than 40 countries and carries out its business activities within a commitment to contribute to the economic and social development of the communities it operates in. 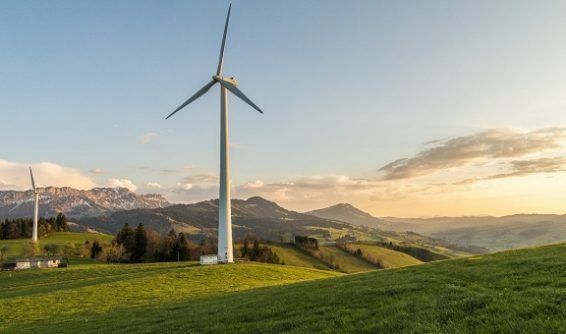 ACCIONA’s aim is to lead the transition towards a low-carbon economy, incorporating quality criteria and innovative processes into all its projects with the aim of optimizing the efficient use of resources and care for the environment. ContourGlobal is a growth platform for acquiring and developing wholesale power generation with long-term contracts diversified across fuel types and geographies, which was founded in 2005 by current CEO Joseph Brandt, along with Reservoir Capital Group. 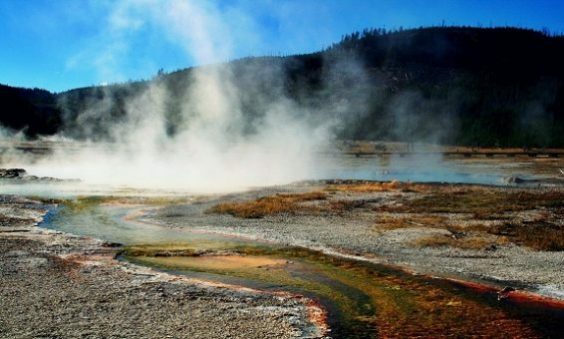 ContourGlobal is a developer and operator of electric power and district heating businesses. 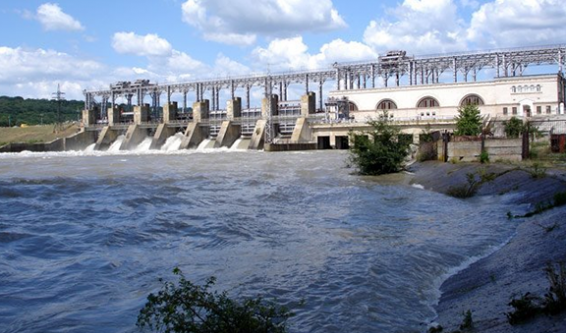 The company manages, owns and operates an existing portfolio of 100 power plants with approximately 4,305 megawatts (“MW”) of installed gross capacity in operation. Our current portfolio spans 18 countries and 3 continents with a weighted average sovereign rating of BBB (weighted by capacity), utilizing a wide range of fuel types, technology and equipment. 63% of ContourGlobal’s overall capacity is located in Europe (Bulgaria, Spain, Ukraine, Austria, Ireland, Italy, Poland, Romania Slovakia, Czech Republic, Northern Ireland) and Eurasia (Armenia), 32% in Latin America (Colombia, Brazil, Peru) and the Caribbean, and 6 % in Africa (Togo, Senegal, Rwanda, Nigeria). 2,000 people work for ContourGlobal around the globe. We have developed the highest of operating standards and practices which we ensure are applied globally in all of our projects. Today, we are uniquely positioned to capitalize on market opportunities that rely on operators with best-in-class track records with refurbishment and development expertise. Profpanel LLC was founded in 2012, but started its activities in the production of solar panels in 2016. Our company is the first and only manufacturer of solar panels in Armenia, which annual production capacity reaches about 10 megawatts. Pöyry is an international consulting and engineering company. 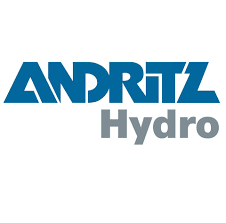 We serve clients across power generation, transmission & distribution, forest industry, biorefining & chemicals, mining & metals, infrastructure and water & environment. We deliver smart solutions and work with the latest digital innovations. Approximately 5500 experts. 40 countries. 115 offices. 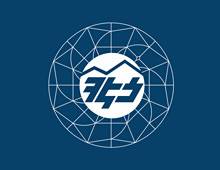 Pöyry’s Energy Business Group, one of the world’s largest and most successful independent energy consulting and engineering firms and a leader in its main practice areas, provides technical consulting, engineering, supervision and project management services within the areas of hydropower, thermal power, nuclear power, renewables and transmission & distribution. EcoVille, a member company of OST Group, is specialized in solar photovoltaic and solar thermal systems and covers the full cycle of services starting from design, installation, maintenance to aftersales support. Solar systems are designed for residential, commercial and infrastructural objects, from rooftops to utility-scale PV projects. It also implements energy auditing services, thus helping customers minimize their energy costs. JA Solar was founded in May 2005 and publicly listed on the NASDAQ (NASDAQ:JASO) in February 2007. After years of development, JA Solar has now become a world-leading PV manufacturer of silicon wafers, cells and modules with production capacity of 5GW, 7.5GW and 8.5GW respectively. By the end of 2017, JA Solar has a cumulative shipment of over 23 GW. With its 11 production bases and 27 branches globally, JA SOLAR products are available in over 100 countries and regions. Ameriabank is a dynamically developing bank and one of the largest and most stable financial institutions in Armenia. Ameriabank is a universal bank offering corporate, investment and retail banking services in a comprehensive package of banking solutions. Having received multiple international financial awards from The Banker, Euromoney and Global Finance. Ameriabank is the leading bank in Armenia as measured by all key financial indicators (assets, liabilities, loans portfolio, net profit and equity) according to the latest reportable data. For more details, please visit www.ameriabank.am.